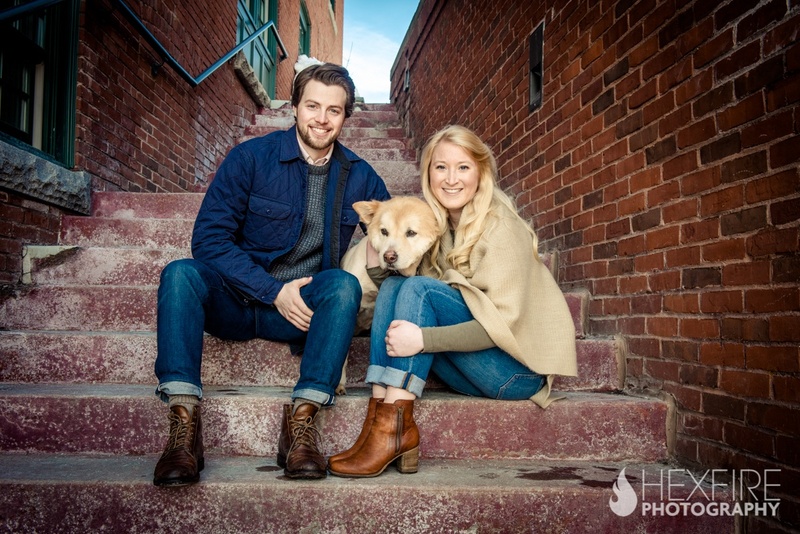 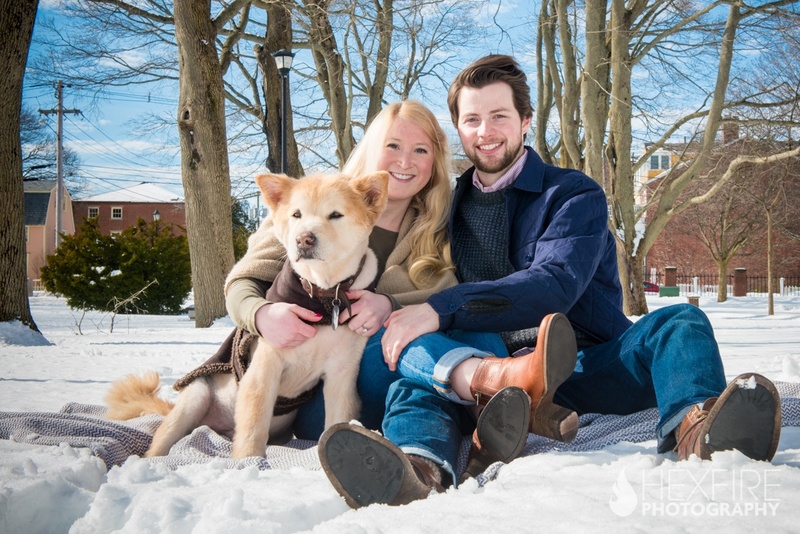 It was an unseasonably warm Saturday, which followed two blizzards, when we met Anna, Colin and their dog Harbor. 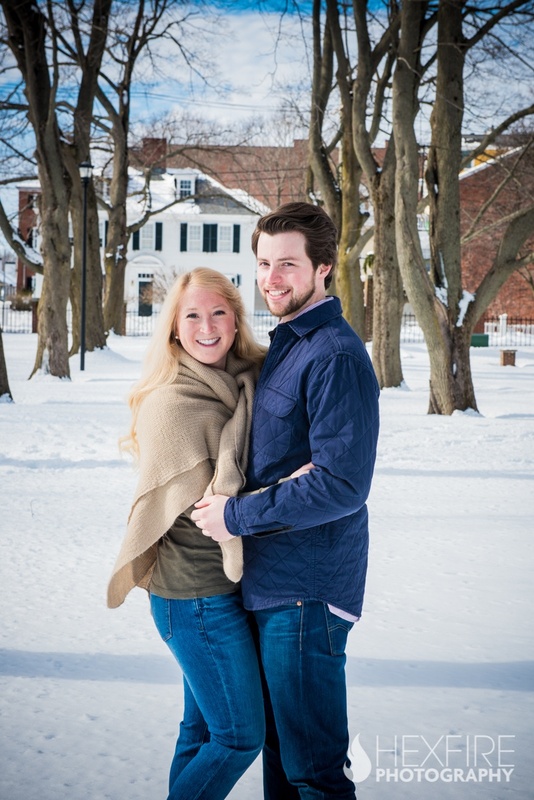 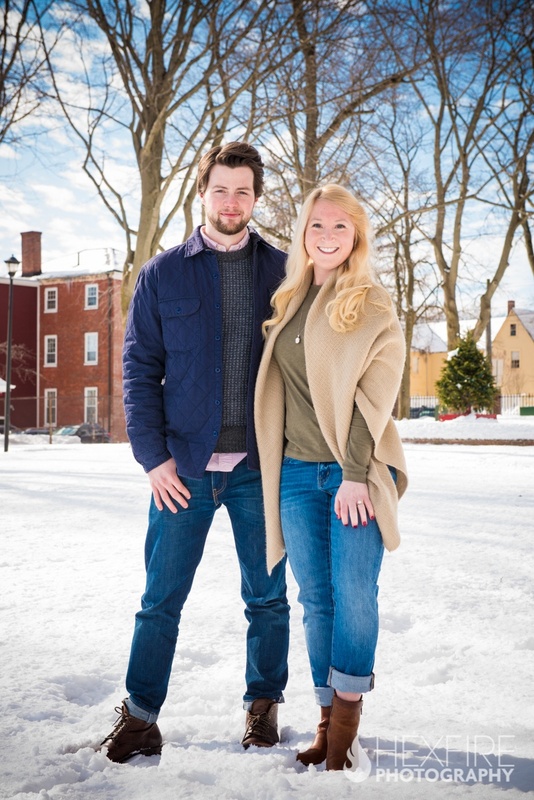 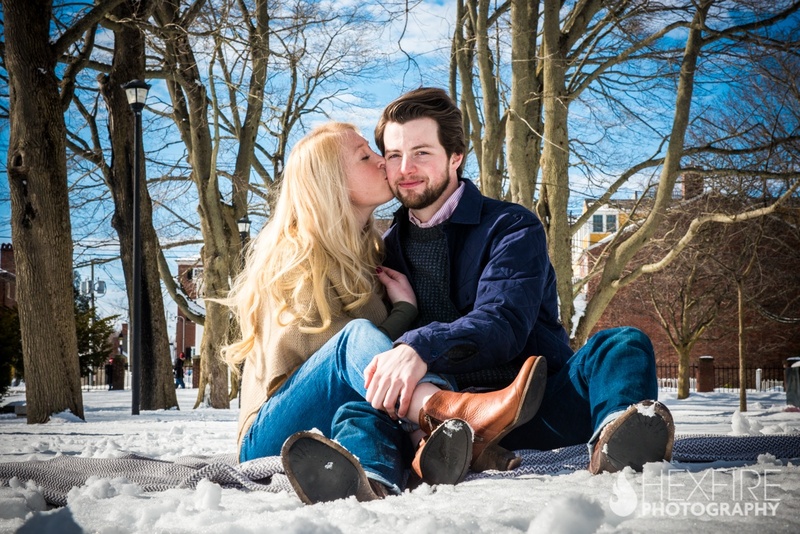 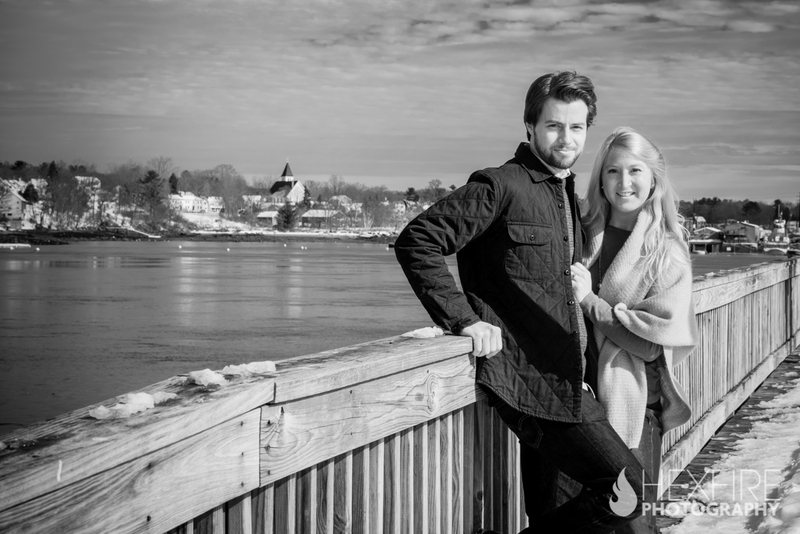 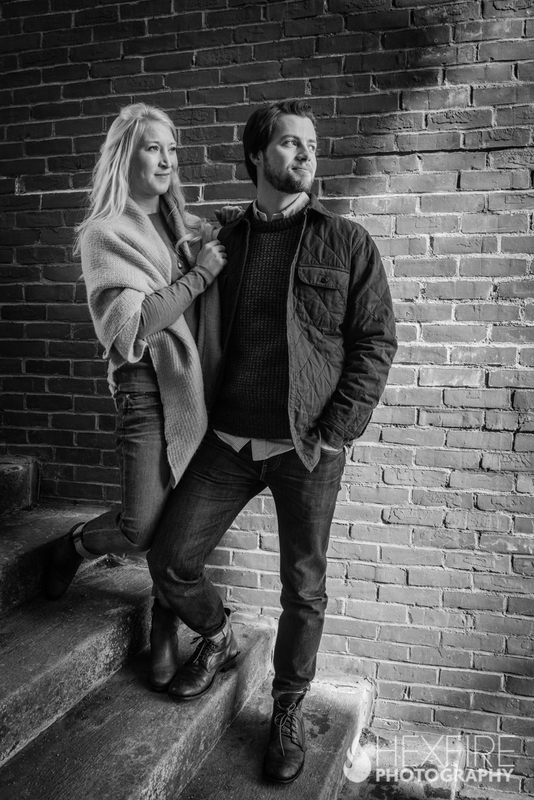 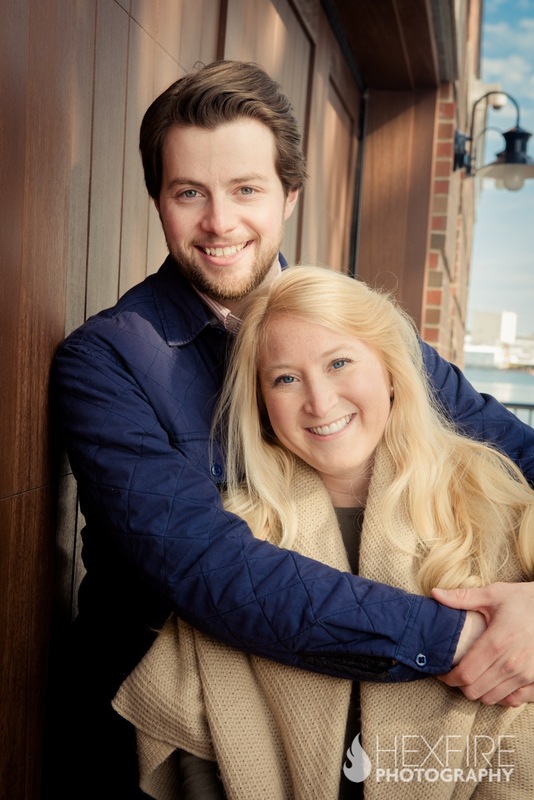 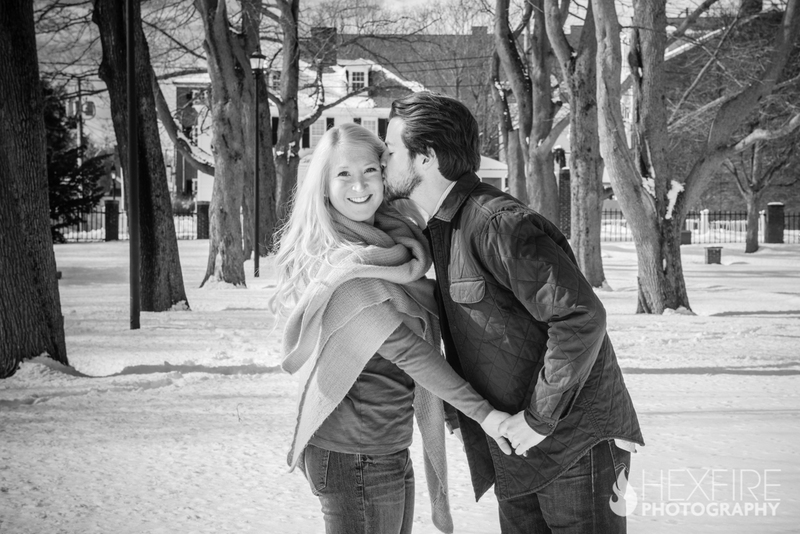 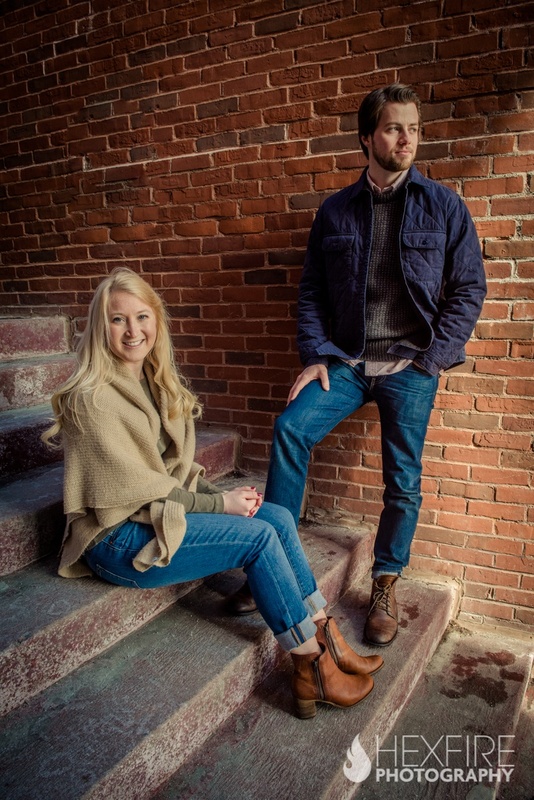 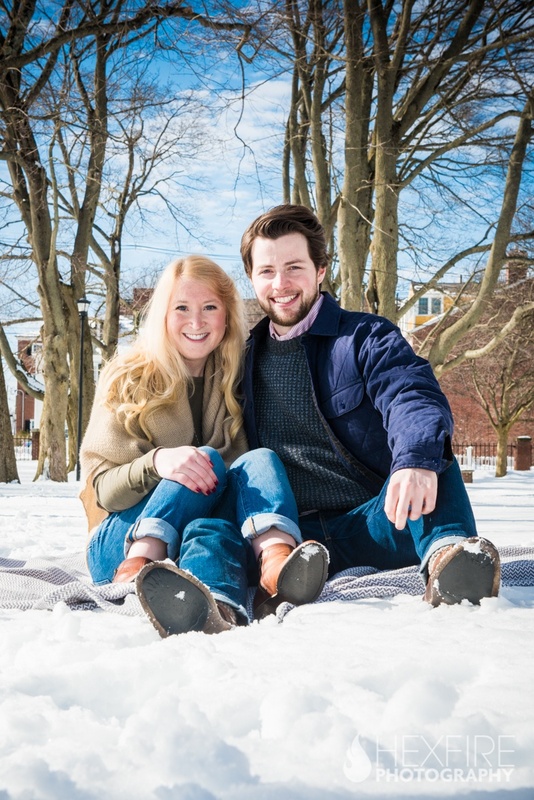 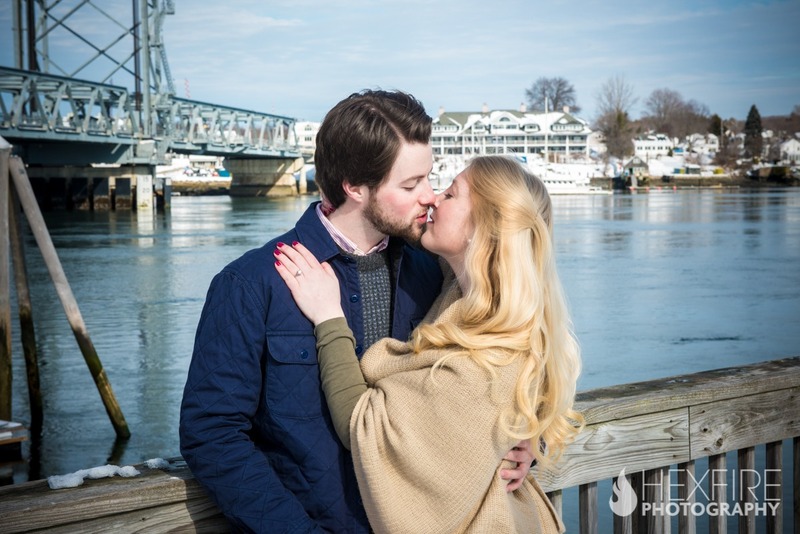 The sun shined down on top of crisp white snow in Portsmouth, NH for their winter engagement session. 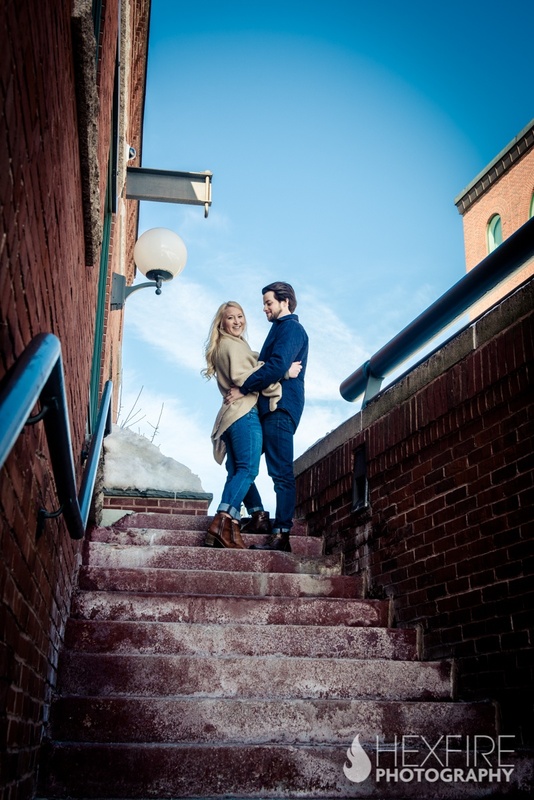 We walked along the streets and chatted about where they met and went over the details for their August wedding. 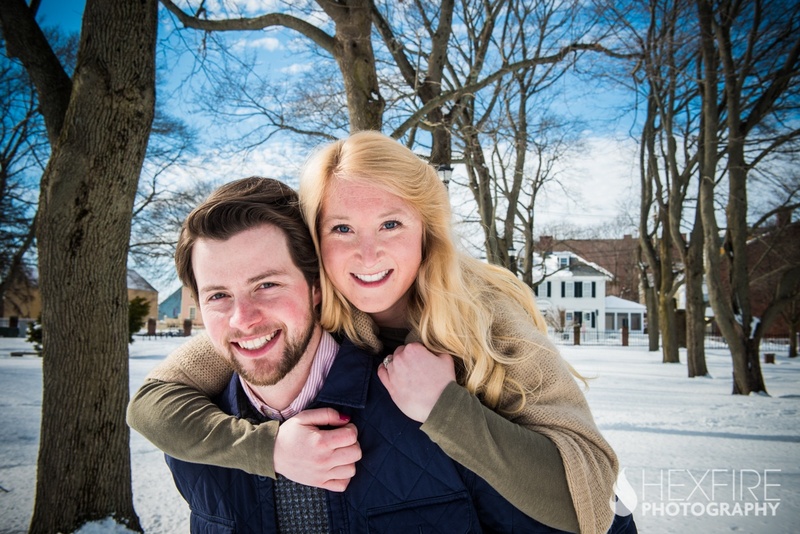 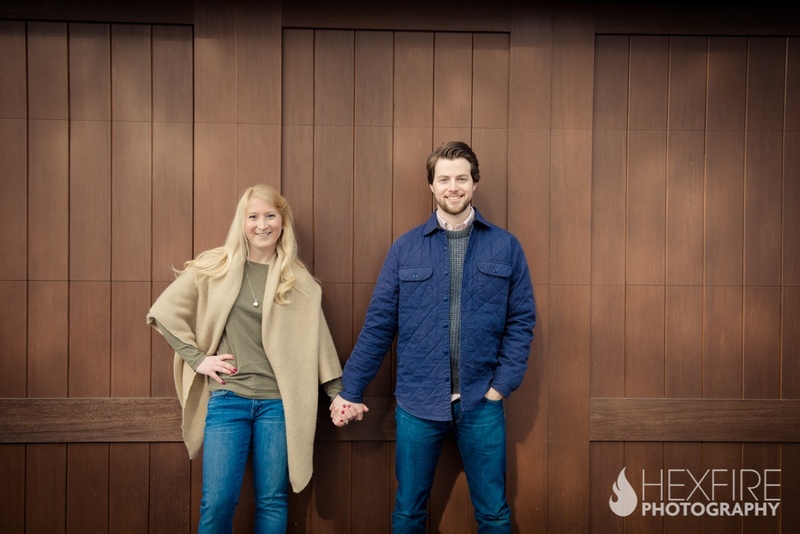 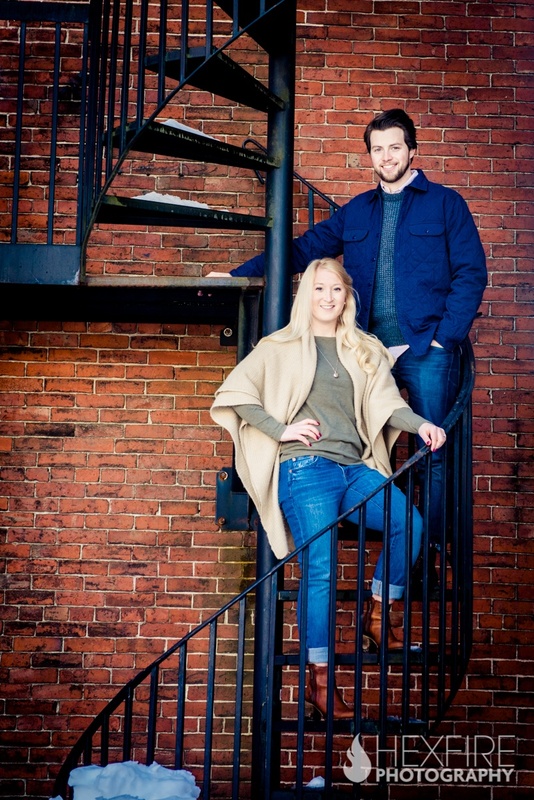 Anna and Colin are one of the most easy going couples we have ever had the pleasure of working with. 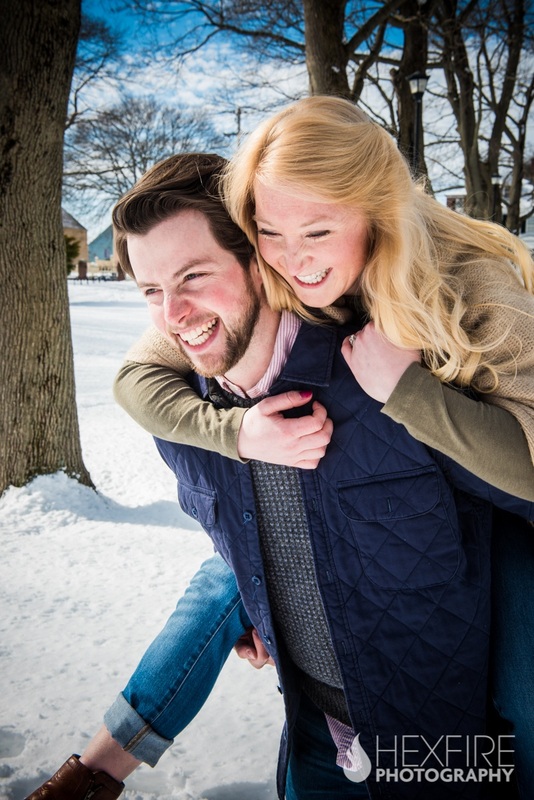 Every pose suggestion, photo scenario, and undisputedly bad joke was was treated with a smile from both of them. 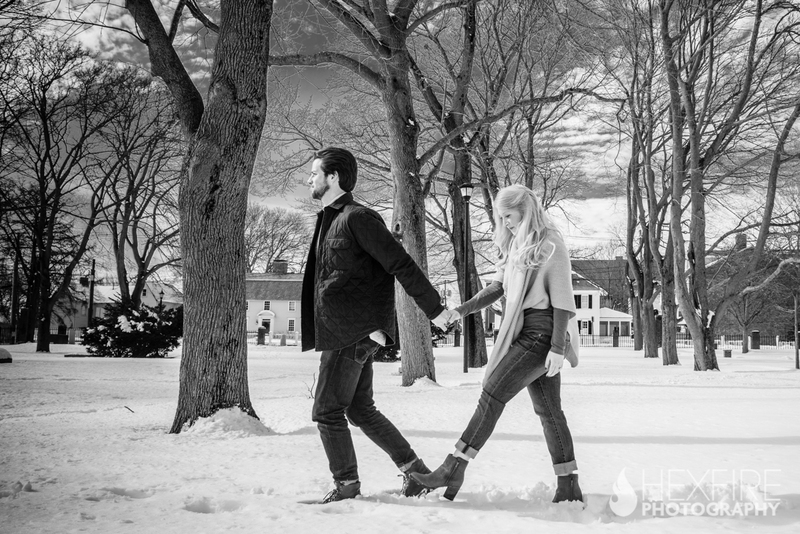 We explored Prescott Park, which has a completely different look in the winter months; a more mellow and serene vibe. 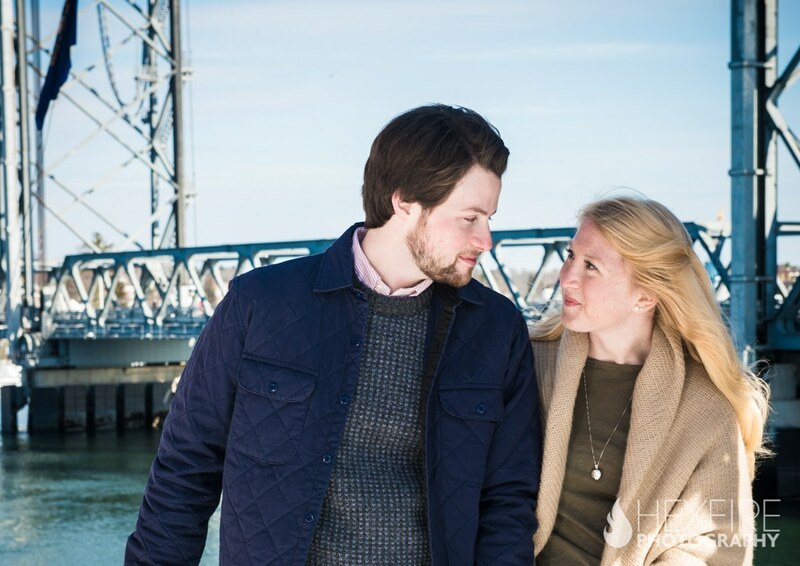 From there we traveled back to Market street and investigated every side avenue we could find. 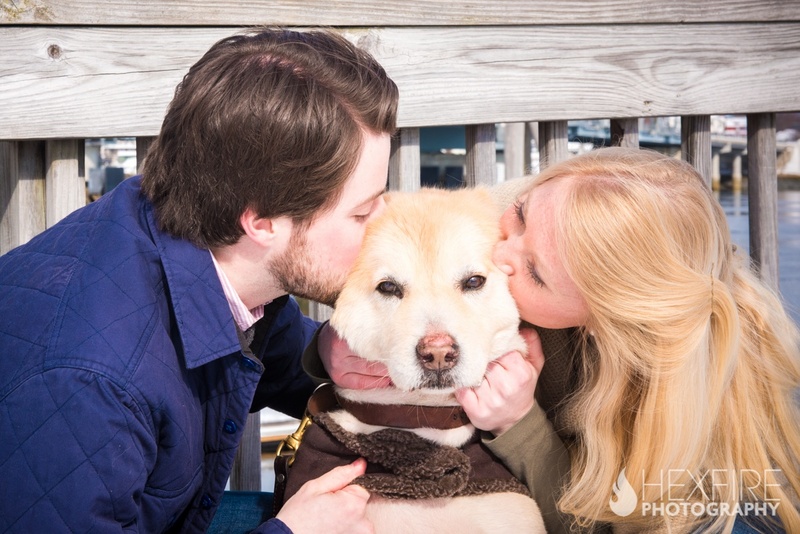 Their adorable puppy Harbor was as patient as ever and found his spotlight in many photos. 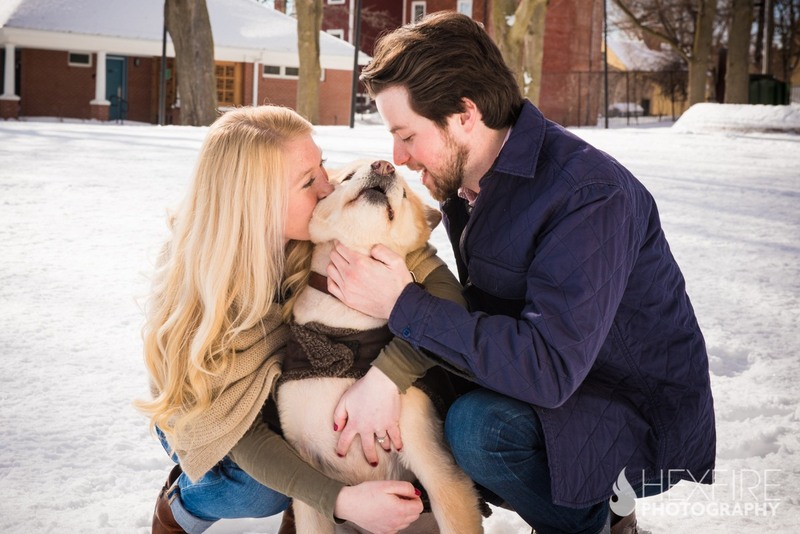 Sporting an uncharacteristically short haircut, he casted his embarrassment aside for his favorite humans and helped them celebrate their upcoming wedding. 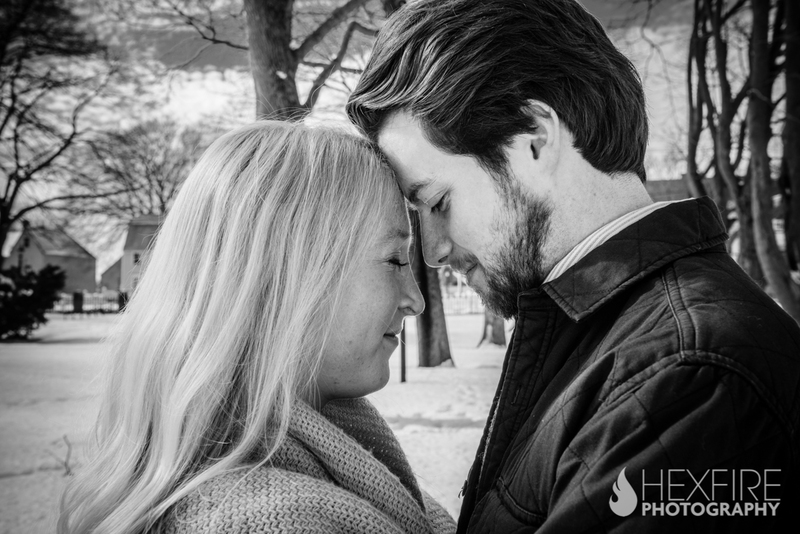 He told us he is going to work on growing out his gorgeous locks just in time for their vows. 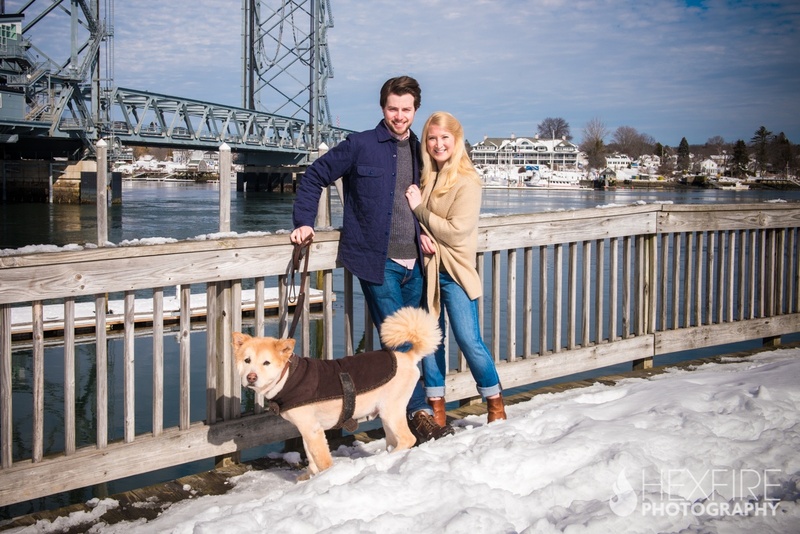 Harbor also wanted us to thank Anna and Colin’s friend Ashley, who escorted him to the shoot and held his leash with care while his mom and dad were capturing some memories. 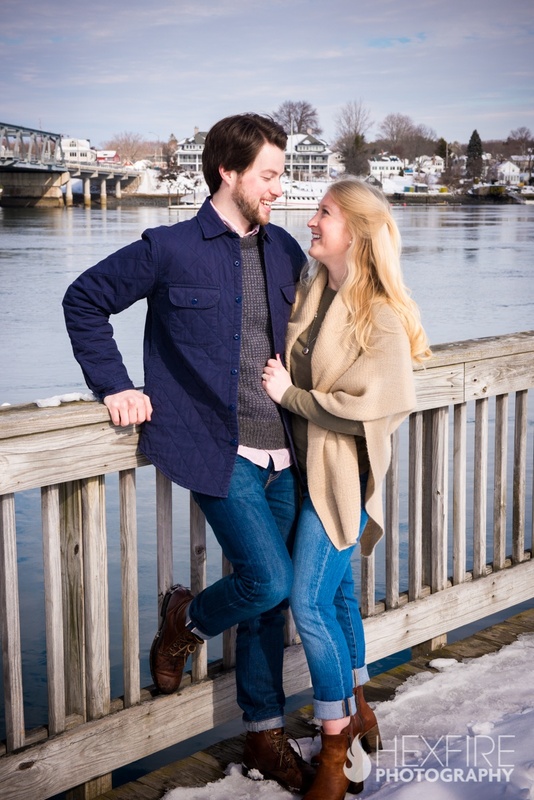 We look forward to August where we we will travel to Rehoboth, MA and document Anna and Colin’s wedding at the Five Bridge Inn.